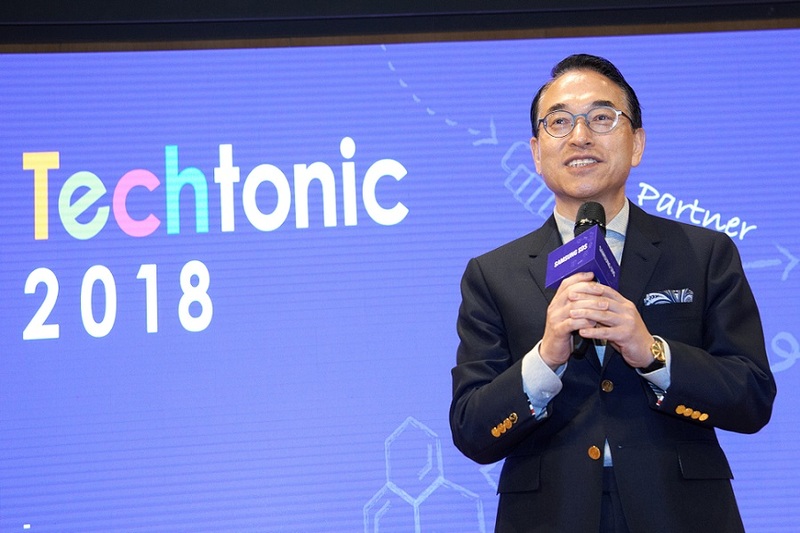 Samsung SDS President and CEO, Dr. Won-pyo Hong giving the opening remarks at the Techtonic 2018 at its Jamsil Campus in Korea on November 15th. On November 15, Samsung SDS held the Samsung SDS Techtonic 2018 at its Jamsil Campus in Korea. A company with the largest number of developers in the Korean IT service industry, Samsung SDS held this developer conference for the first time with the aim of expanding the developer ecosystem. Approximately 1,000 audience members including IT developers, college and graduate school students attended the conference. The Korean company shared cases of how it is helping it's customers innovate their businesses using new technologies (i.e., AI, Analytics, Blockchain, IoT, security); as well as its development know-how. At the keynote speech, Senior Vice President and Technology Research Leader, Shim Yoon highlighted Samsung SDS’ global partnership, its innovative technologies and future technology road map. In particular, Samsung SDS announced its open-source AI analytics platform Brightics Studio, which was developed to lead the AI analytics ecosystem. Brightics Studio is the open-source version of Brightics AI, a bigdata analytics platform for enterprise customers. The open-source platform enables users including non-experts to easily use all functions needed for data analysis, including deep-learning, without separate coding. You can download Brightics Studio on the Brightics AI website (www.brightics.ai) or on the Github website (www.github.com/brightics/studio) for free. Furthermore, on October 18, Samsung SDS held the OKKYCON 2018 hosted by Korea’s largest developer community OKKY, with the aim of facilitating exchange among developers. On November 23, the Korean company will also hold the Agile Korea Conference 2018 at its Jamsil Campus. “Samsung SDS will regularly hold Techtonic conferences to share various innovative technologies and development know-how, in order to routinely contribute to reinforcing IT developers’ competencies and vitalizing their ecosystem,” said Samsung SDS President and CEO, Dr. Won-pyo Hong.